We are delighted to have Mrs. Vaishali Mahimkar as Browning’s Picture Lady Coordinator. The Picture Lady is a PTA sponsored, nationally endorsed volunteer program which brings art into the classroom. Each year, adult volunteers present an artist or type of art to as many classrooms that they can. After the initial set-up, it takes only about 30 minutes per class to talk with the students about the chosen subject. At the end of the school year, the students are then asked to vote for their favorite print and then that print is purchased, framed, and hung on the school wall. Many of the artwork that is currently displayed throughout Browning are Picture Lady Prints chosen by students. To volunteer (you do NOT need to be a woman) or for more information, please send in a note to the Browning office, Attn: PTA Picture Lady. This fun art enrichment program benefits our students and, ultimately, you as well! VG’s offers a Community Sharing Fund which will pay our school 1% of total grocery purchases (excluding tax, tobacco and alcohol products). VG’s is a family business with locations in the local area. Visit www.vgsfood.com to locate the nearest store. When shopping at any of the 16 VG’s locations, please turn all receipts in the collection box by the Browning office. We would also encourage you to invite family, friends and neighbors to help! 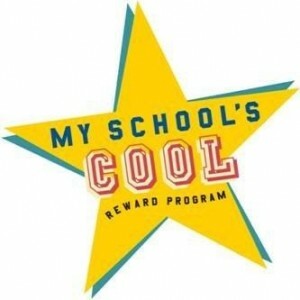 Thank you to everyone who has participated in our “My School Is Cool” program! So far we are in 5th place out of 13 schools for this semester and it’s not over! The fall semester will end on Dec. 24th so if you have any shopping to do at Lakeside Mall….please do it now! The final receipts and counts are not do until Jan. 8th, 2010. If you have any receipts for Bath & Body Works from Dec. 14th -20th they are double points! Christmas is less than 2 months away! When shopping, please remember to turn in your receipts in the nifty shopping bag outside the school office, designated Browning Locker-located upstairs near Lord & Taylor, or at any PTA meeting/ school event/restaurant night! Your Lakeside Mall receipts can earn thousands of $ in CASH rewards for Browning Elementary! If you need more information, please email Dawn Neubacher at [email protected] or Tracy Sorrentino at [email protected]. Thank you Dawn and Tracy for chairing this profitable fundraiser! Our participation in the New Kroger Rewards Program is paying off – big! For the quarter ending 7/31/09, Browning received a $741.37 donation from Kroger. Keep swiping those cards! By shopping at Kroger, you can help bring much needed funding to Browning by simply linking your Kroger Plus Card to our organization. Your Kroger Plus Card can be linked to Browning via their secure website, ww.krogercommunityrewards.com. Select the enroll button under the Participant section. Please sign up in the “New Customer?” box. Add our organization #82331 under the Edit Kroger Community Rewards information box. Once enrolled, simply give your Kroger Plus Card to the cashier before you check out. Every purchase using the Kroger Plus Card will contribute to Browning’s rewards. If you have any questions or need more information, please contact Cristie Fuller at [email protected] or 586-532-8460. Thank you Cristie for chairing this fundraiser! Michigan Say Yes to No! Thanks to the enthusiasm and support of the Michigan Elementary and Middle School Principals’ Association (MEMSPA), a statewide Michigan Say Yes to No campaign was launched in December of 2008. Read more about SYTN. Support Desperately Needed to Fight Further Cuts to State School Aid Budget! Recently, our 3rd Grader Cami brought home a wonderful book from school titled “The Legend of Sleeping Bear” – the story of a mother bear who does everything in her power to protect & look out for her cubs. While I am constantly amazed by the devotion of our families when it comes to ensuring our “cubs” are safe, healthy, & happy, this book reminded me of the real reason I volunteer my time & advocate (for not only our other children – Katie (Bemis-8), Connor (Browning-6), & Cami (Browning-3)) but all of the great kids at Browning & Bemis. Our children deserve nothing less than a quality education, challenging programs, and access to the latest technology that will help them thrive & succeed in our ever changing global marketplace. Please attend a meeting of parents at 7PM this Thursday, Nov. 5th at the Palazzo Grande Banquet Center on Van Dyke at 25 Mile Road in Shelby Township. At this meeting, we’ll be joined by other UCS parents to learn more about how all of this affects us & sign letters addressed to the very legislators who will be deciding the fate of funding for our students. Please let me know if you can attend ASAP so that I can relay to the school how many Browning/Bemis advocates to anticipate. Make public education a priority in Michigan! Finalize & adequately fund K-12 budget for fiscal year 2009-2010. We are now in the fourth month of the school’s fiscal year. Use all available funds (stimulus and school aid fund balance) to reduce any ADDITIONAL per pupil reduction. They have already cut funding by almost $164 per student. Allow districts the flexibility on spending to determine where any cuts could be made. Ensure any structural reform/new revenues adequately fund education. Please forward this message on to your network of interested parents and friends to help amplify the message that education must be a priority in Michigan! On a side note, please be respectful in your communications with lawmakers! I am told that other advocacy groups have lost sight of this. 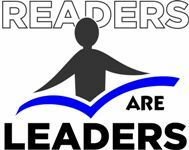 While it is imperative that UCS (the 2nd largest district in the state) be viewed by our legislators as passionate, vocal, & a force to be reckoned with, our messages represent all of our parents after all – so we need to walk the walk. I am confident our efforts can (& will) make a difference for every one of our “cubs.” Our voices will be heard and we are almost there! All of your efforts make such an impact & are greatly appreciated!